Martha Graham, Merce Cunningham, Paul Taylor, Alvin Ailey, Trisha Brown, Lucinda Childs, Bill T. Jones, Miami City Ballet, Jazz Tap Ensemble, Alwin Nikolais, Murray Louis, and the Lewitzky Dance Company are among the seventeen major American dance companies plus soloists who will participate in what promises to be a history making event: the 1990 Lyon Biennale de la Danse, which takes place in Lyon, France, September 13 – October 6. The news was announced by the Biennale’s artistic director Guy Darmet at a press conference today (April 19, 1990) at the Cultural Services of the French Embassy in New York City. Among the 150 present were representatives of the participating companies, as well as Jacques Oudot, Cultural Commissioner of the City of Lyon. The more than sixty modern dance, ballet, tap, and folk dance events scheduled for the three week period span the history of dance in America. Isadora Duncan will be represented in performances by two Duncan experts, the American dance and choreographer Annabelle Gamson and the French dance Elisabeth Schwartz; the innovations made by Loie Fuller will be seen in the form of Brygida Ochaim, while the spirit of Ruth St. Denis and Ted Shawn will be recalled in performances by the Center Dance Collective and the Vanaver Caravan. The Limon Dance Company will present works by Jose Limon and dance pioneer Doris Humphrey, including the revival of Humphrey’s classic Day On Earth. Not all of the Biennale participants are from New York City. The Miami City Ballet will present several evenings devoted to works of George Balanchine; Los Angeles will be represented by the Lewitzky Dance Company and the irrepressible Jazz Tap Ensemble. The Vanaver Caravan and Pat Cannon’s Foot & Fiddle are both from upstate New York. Among America’s younger choreographers participating in the Biennale are former Trisha Brown dancer Stephen Petronio and Bill T. Jones, who will present a preview performance of The Cabin, inspired by the Harriet Beecher Stowe novel. Besides the jazz Tap Ensemble, other tappers include Eddie Brown, Steve Condos, Savion Glover, LaVaughan Robinson, Jimmy Slyde, and the Nicholas Brothers. American dance will also be celebrated by several French companies in some unexpected ways. The Lyon Opera Ballet will present a new dance choreographed by young American choreographers to a Frank Zappa score, while Daniel Larrieu’s company, Astrakan, will present Les Prophetes and Compagnie Preljocaj will present the premiere of Amere Americana, which explores the dreams and the despaire of the American immigrant. The Lyon-based Compagnie Michel Hallet-Eghayan will present an homage to Margaret Craske, the revered American ballet teacher who died recently. The three week extravaganza will also be crammed with master classes, special children’s matinees, a curated exhibition, showings of classic dance films and videos, all programmed to illuminate the American contribution to dance. Designed to trace the history of American dance in yet another way, the films will include rare footage of America’s pioneers such as Ruth St. Denis, Doris Humphrey, Helen Tamiris, Ted Shawn, Agnes de Mille, and Martha Graham, as well as videos of pioneering works by Merce Cunningham, Twyla Tharp, Jerome Robbins, and Alwin Nikolais, among others. Not all the dance will be on stage or screen, however. Since part of the Biennale’s initial mission was to trace the social, political, and cultural history of dance through the customs of the period, social dance became an important part of the program. Four special balls, each celebratin a specific era or style of American dance and taking place in four spectacular locations in Lyon, will offer dance lovers a chance to experience another time by kicking up their own heels. There will be a costume ball celebration of the Roaring Twenties; a Square Dance Ball; An Evening at the Savoy Ballroom (a celebration of the swing era with Frankie Manning and the Jiving Lindy Hoppers from London); and A Rock and Twist Party (a tribute to the Golden ‘50s and ‘60s). An American Story is the fourth Lyon Biennale. These unusual thematic celebrations were conceived in 1983 by Guy Darmet, who wanted to find new ways to draw public attention to dance and to illustrate the historic contribution of the art. It was important to put dance on an equal footing with music, theater, and the plastic arts, according to Mr. Darmet. Like its sister arts, the development of dance mirrors the growth and charges of the society in which it evolved. To illustrate this, he decided to give each Biennale a separate theme or focus. The first Biennale, which took place in 1984, was devoted to 20th century trends that inspired the development of modern dance, while the second Biennale in 1984 focused on the contributions of 20th century German modern dance, and the third Biennale celebrated four centuries of French dance. An audience of sixty thousand is anticipated to attend the fourth Biennale. 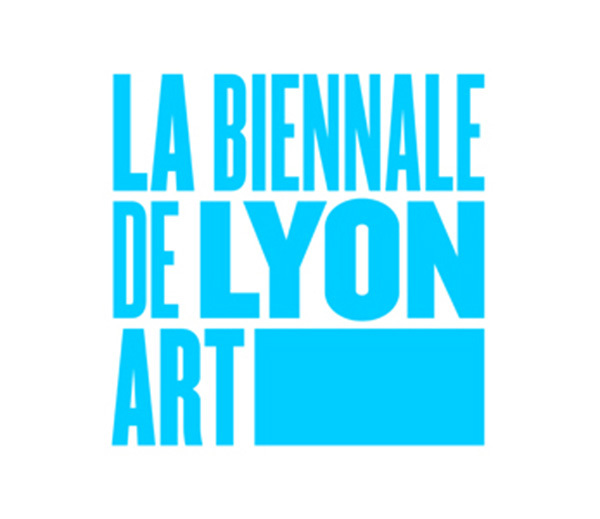 The $3 million budget for the 1990 Biennale has been underwritten by the City of Lyon, the Ministry of Culture and Communication, the Council General of Rhone, the Rhone-Alpes Regional Council, the National Endowment for the Arts (USA), The Fund for U.S. Artists at International Festivals (USA), and the Cultural Services Department of the American Embassy in Paris. Additional contributors include the Lyon Chamber of Commerce and Industry; L’Aderly, the Tourist Office of Lyon, the American Friends of the Paris Opera, and the Cultural Services of the French Embassy in New York. BNP, IBM, Air Inter, Foundation Credit National, Jet Services, Europe 2, Repetto, SACD, Le Progres, Telerama, La Caisse des Depots et Consignations, the Florence Gould Foundation, Paul Lapercq, and the One World Arts Foundation are also major contributors.